Monster High is not a product you’d expect a thirty-four year old man to pick up. However my girlfriend was a big fan of the series and always said she wanted something like those dolls when she was a child. Then Amazon.com and Mattel offered me a free Dead Tired Lagoon Blue doll & Hydration Station as one of my monthly options to review for them (Yes, I’m an official reviewer for Amazon in addition to this). Knowing my significant other’s love of these toys I chose it and even let her write the review for me. The next thing I knew we were driving around to stores looking for specific dolls for her and I eventually used an Amazon gift certificate to get her a second doll – that of Spectra Vondergeist. I have a feeling the ball has just started rolling here folks. Which leads us to Monster High: Ghoul Spirit This $39.99 video game by ImaginEngine and THQ would give her a chance to have fun with all the Monster High characters and it would cost as much as one or two of the dolls. So even though THQ wasn’t sending us a review copy of THIS game, I decided to review it as well as by it as most gaming websites tend to ignore video games for young gamers or that are geared specifically for girls. Shame on them. My only problem was that the game was developed by ImaginEngine. Now 99% of you don’t know this company but if you are a super crazy Pokemon fan, just the name should fill you with dread as they are responsible for the hideous Pokemon Team Turbo which is not only legendary for its horribleness but why TPC and Game Freak pretty much abandoned the idea of letting a Pokemon game be developed for a platform other than Nintendo systems (Of course, the Square-Enix cell phone game helped with that too…). I mean, the thing even scarred our own Mark B. and his whole gimmick is based on playing terrible games. The good news is that in the decade since Pokemon Team Turbo was published that ImaginEngine has greatly improved. Last year they released another Wii budget game, Haunted House, that I had a lot of fun with. So with that I went into Monster High with high spirits rather than getting a mob with pitchforks and torches together. So is Monster High: Ghoul Spirit a howling success, or should you drive a stake through its heart? Instead of playing one of the already established Monster High characters, you’ll be making your own girl here. You have a choice of Zombie, Mummy, Werewolf, Vampire, Gorgon and “Mash-Up” which is the Monster High name for Flesh Golems. For those wanting to make a Merfolk, Ghost or the like, you’re out of luck. Due to my name I decided to go for the obvious choice of Vampire. From there you pick your character’s hair, face, skin tone and outfit. There aren’t a lot of options here (between two and three for each), so that was a bit of a disappointment. Throughout the episodes your character will have to talk with various Monster High characters. In these situations you are given one of two dialogue choices: negative and positive. Negative lowers your relationship status with that character while positive raises it. The catch is that in order to get anywhere you HAVE to answer positively so your character ends up being more of a toady/lackey than anything else. Completing legs of the episodes also raises your overall popularity rating. As the game says, “Popularity is EVERYTHING,” which may not be a healthy message to send to children, but it is true in this specific game. At the end of the game, you take part in the “Terror Under the Sea Dance” planning and your choices there, coupled with your various relationships and popularity rating determine who will be crowned Scream Queen. After beating the game as positive and perky as one can be, along with maxing out relationships with Draculaura, Cleo, Ghoulia and having a near maximum with Frankie, Clawdeen and Lagoona, Cleo still became Scream Queen. I’m not sure how that happened. Still, Cleo is my favorite of the main girls, so I guess I can be happy with that decision? One odd thing about the game – several characters are listed bio wise but you never get to interact with them. These include Abbey Bominable, Spectra, Jackson Jekyil and Holt Hyde. Several other characters like Operetta you only talk to once or twice so it’s impossible to really raise your rating there. I’m not really sure why these characters weren’t given any real time and at points your relationship bar with them will magically fluctuate so there’s a definite disconnect there. Overall the game was cute. You character is basically personality-less and the bulk of the game is serving the whims of the main Monster High characters, but the game does have a nice sandbox style feel to it. I beat the game in four hours, but there was plenty of content packed into the game, even if it wasn’t anything substantial. The fact there are fourteen different episodes, relationship ratings, multiple endings, multiple character types and a special episode based on said character type gives the game a lot of meat. Honestly, the graphics for Monster High: Ghoul Spirit are pretty ugly. I know people give the Wii a lot of flack for its visual capabilities, but this is pretty ugly. You have very limited options for your main character’s appearance and a lot of the graphics in the game are blocky, jagged and have little to no texture. The main Monster High characters look okay, but the rest of the game’s character models are an eyesore. Backgrounds are pretty dismal too. Most of the game is the same exact hallway with the same exact looking lockers. Only the doors to rooms are different and even then many of those look alike as well. The game basically looks like a N64 or bottom end Game Cube title rather than a Wii one. Considering a big part of the Monster High craze is the visual appeal of these dolls, I wish the game could have captured some of that. The game is at its best visually with a close up of the main characters from the show/toy line. However these shots are not only rare, but they are the same exact looping animation each time the character shows up. Diehard Monster High fans will be able to overlook the sup-par visuals and just be happy to play a Monster High game. Video gamers however will wince at the visuals the first time out. Thankfully the game plays a lot better than it looks. Good news and bad news here. The good news is that the Monster High theme is in the game and they’ve used the voice acting crew from the websiodes/cartoon to do the voices. The bad news is that the theme song is only used at the very beginning of the game and the voice acting is limited to the same half a dozen lines repeated over and over again. It’s a bit hilarious when the lines spoken have nothing in common with the text on the screen which is their actual dialogue. Hearing Draculaura say just “Oh. Emm. Gee!” when the in-game script says she’s asking you to do her makeup for her due to vampires not having reflections is just weird. It’s very 8-16 bit era, but in 2011, THQ could have easily sprung for full voice acting. It’s a shame that they didn’t. The background music in the game is…okay. It’s nothing great or memorable but it works as elevator music. If you’re playing the game and you’re looking to expand the game’s soundtrack type in 1328 to get a remix of “Fright Song.” Sound effects are equally average. I can’t complain about them, but there’s nothing impressive. Generally it’s the sound of you walking (a lot), a happy noise when you do a task correctly and a negative intonation when you screw up. Overall, the aural aspects are somewhat better than the visuals, but a higher budget and more time could have really made this thing memorable for the core Monster High fan. Controls are pretty easy to figure out. You guide your monster with either the D pad on the Wiimote or the control stick on the Nunchuk. 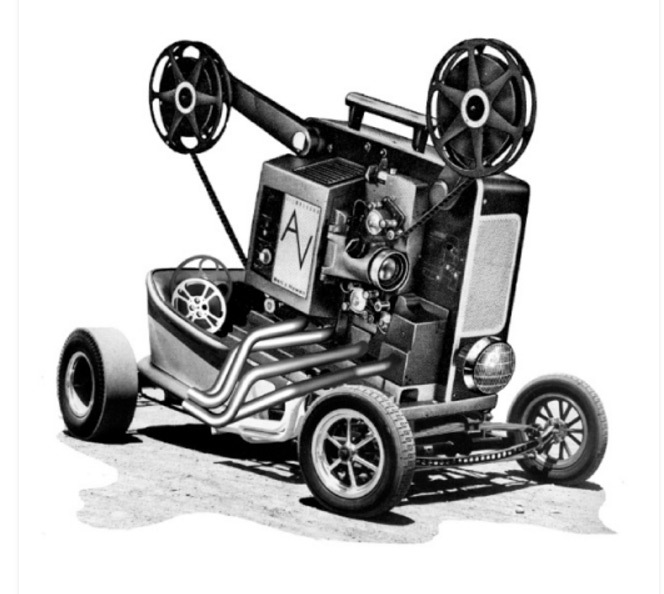 You use the A button to talk to people or activate sparkling objects on the screen. Move your Wiimote cursor to the bottom of the screen to use either your diary (change the episode you are using as your main quest), ICoffin (phone), Purse (see what items are being carried) and Map. If you or your child are not good at reading maps, the game’s default setting has Count Fabulous (Draculaura’s pet bat) guide you to the next leg of the Episode you currently have set as your main quest. Once or twice my girlfriend had the bat disappear on her and after fiddling with the game, I discovered it was because somehow her active quest was turned off so there was no place for the bat to guide her. That never happened to me in my time with the game, but just a warning this might be a potential bug. So if your bat disappears, check your diary. 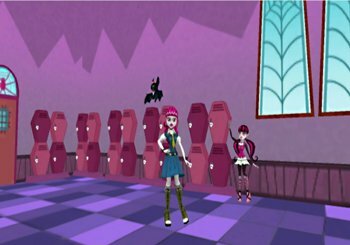 There are many mini games within Monster High: Ghoul Spirit and these are used to break up the time between fetch quests. Some mini-games, like giving Clawdeen Wolf a new hairdo only occur once per game. Others have entire episodes based around them. In these situations, you’ll play the mini game six times to complete an episode in addition to them on rare occasions in other episodes. Vampitheater has you put broken up pictures together, Gym has you doing target practice, Mad Science has you mixing potions and so on. It’s all very simple and surprisingly fun. As I said earlier, the game feels like a sand box style game or Western RPG for young gamers, and the different activities are varied enough so that you’re doing something different. I will say this though – I’m an experienced gamer and know my Wii controls inside and out, so it was very easy for me to play this game. My girlfriend however had never played a Wii game before save for Wii Sports so the Wiimote/Nunchuk set up, along with the motion controls took a bit of getting used to – especially with the mini games. So if you are purchasing this for someone that has never played a Wii game before or they are very young, you might want to be there with them to help explain how the Wiimote functions. Another issue is with the purse. Now you can only carry eight items at a time in your purse. Anything else is instantly teleported to your locker. The problem is the game doesn’t tell you this and I ended up spending a few minutes wondering why I couldn’t get the next leg of an episode to finish or if there was a massive bug in the game. At the same time, Count Fabulous was telling me to go to the character I needed to give said missing item to rather than the locker. This is sure to confound young children if they run into it. Finally, when you get an iCoffin message, if you hit “accept,” you’ll be switched to a different episode from the one you are one. Again, this is something young or casual gamers might miss at first. Overall, the game is solid enough than an experienced gamer will have no problem with it, but those not used to a “sand box” style game might be confused as to game progression, especially single digit aged gamers. Overall the controls are quite solid and the game is well made. There was the disappearing Count Fabulous issue and the inventory management problem, but aside from that the game is quite instinctive if you’ve ever played a Wii game before and the amount of episodes with the various quests and mini games make this a game younger gamers or Monster High fans will enjoy. The fact that you can play all fourteen episodes in whatever order you want, mixing and matching all the way is a nice touch that ensures the game will play slightly different each time you try it out. 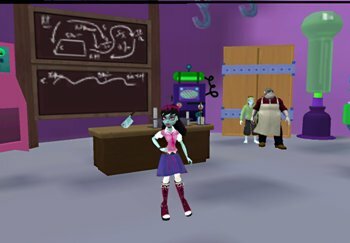 As well, with six playable character types, each of which having their own unique variation of the “freaky flaw” episode, a person can play Monster High: Ghoul Spirit more than once and see something different. You can also see who ends up Scream Queen. Maybe it’ll be your own character! It would have been nice to have more dialogue options or to see exactly how your relationship statuses affect the game, but it is meant to be a somewhat simple game for a younger age demographic than my own. Again, casual and younger gamers will definitely have fun coming back to this one to try a different character or to do episodes in a different order. As the game is designed for a younger audience, I found Monster High: Ghoul Spirit to be quite easy. I got straight As and had a full relationship bar with half of the main MH cast. The mini games were all pretty easy to do in the time frame given, but there were one or two when I was cutting it close. Less experienced or younger gamers will find it a bit harder, but even then I still didn’t manage to become Scream Queen and considering my stats and ranking I’m not sure how one actually does. It seems to be like a weird “true ending” path straight out of an Idea Factory game where you need a walkthrough to do the exact steps needed in order to achieve it. The hardest thing in game is trying to find your way around the school without the help of Count Fabulous simply because of how nondescript everything looks. Kids and adults alike will be happy that option is available. As mentioned earlier, I beat this game in four hours. 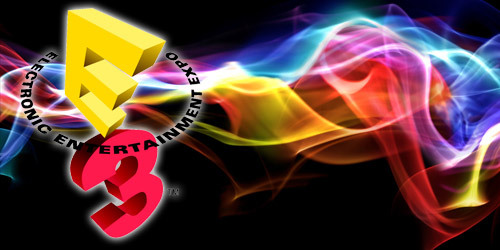 Less skilled gamers will find it takes a little longer and younger gamers more so. As the game is mostly mini games and fetch quests, anyone should be able to complete this with a little bit of time. It’s fun for what it is and it was cute enough that I didn’t mind the cakewalking, so actual Monster High fans will enjoy it even more. I’ve played a lot of licensed games. I’ve played a lot of games consisting primarily of mini-games (especially on the Wii). Cthulhu knows I’ve played a lot of games that are mostly fetch quests. I can honestly say however that I’ve never played a sandbox style game that was geared for young and/or female gamers though. Monster High: Ghoul Spirit is just such a game. You can definitely tell the game is meant to be a very simplistic version of something like the titles Bethesda and Bioware put out – only it’s for the younger generation of gamers and I love that someone has done this. Not every sandbox game has to be about hot coffee controversies or curb stomping someone. You have a lot of leeway in what order the story unfolds and I think it’s cute that you can design a new Monster High character even if there aren’t a lot of options. Is Monster High: Ghoul Spirit a stripped down version of other games combined into one? Yes. Have I played better games? Of course. But Monster High: Ghoul Spirit is the only game I can think of that has taken what is currently popular genre-wise with adults and retooled it for children and casual gamers. That’s pretty cool. 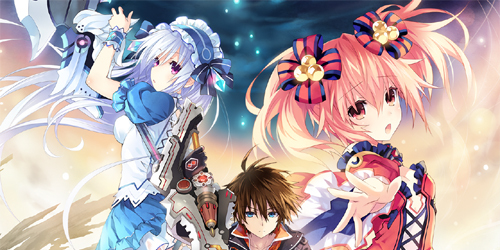 So while this game isn’t the most innovative of titles, it does stand out with how it combines all these genres as well as the demographic it is aiming for. So I’ve mentioned a few times in this review that it took me only four hours to beat this game. What I haven’t mentioned is that I played this game from beginning to end without stopping. It was four straight hours of play without any real pause. 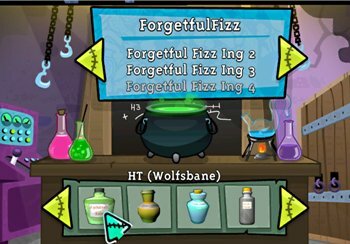 Mini Games are always fun if they are made well, fetch quests are surprisingly hard to stop after just one and Monster High: Ghoul Spirit combines both of those into one entertaining game. Maybe it’s because I grew up on RPGs, but this felt like something I’d have loved as a kid. The characters were interesting and cute, there was always something new to do and I was surprised that it only took me four hours as it felt like ten hours or so of content. I was surprised by how much I enjoyed Monster High: Ghoul Spirit for what it was. It wasn’t the best game I’ve played all year, but it honestly is one of the better Wii exclusives of 2012 – such as that is. It’s definitely going to impress the target audience and while it’s a game I probably won’t ever play again, it certainly is something Monster High fans will keep in their collection rather than trade in at their local video game store. Monster High may be geared for young girls, but make no mistake – its appeal hits a much larger group than that target demographic. They’re of a high quality and look much better than those crappy Living Dead Dolls you could find in Hot Topic years ago. They’re interesting enough that a lot of teenagers and adults like them. They’re of the same bent as Jem and the Holograms or She-Ra in that males can enjoy the franchise on some level (generally the cartoons). It’s the big thing amongst girl oriented toy products right now for a very good reason and this video game is just another piece along with the cartoon, webisodes, Facebook page and more. Basically Monster High is the “it” product for girls right now and having it as a Nintendo Exclusive title is not only good for Nintendo, but good for the franchise as well as the DS and Wii are in more homes than any other system this console generation. By not having it on the 360 and the PS3, ImaginEngine saved themselves an even worse thrashing about the graphic styles. Monster High has a very large audience right now and a lot of them will pick up one form of this game, especially since it is priced cheaper than the average MSRP for either system. 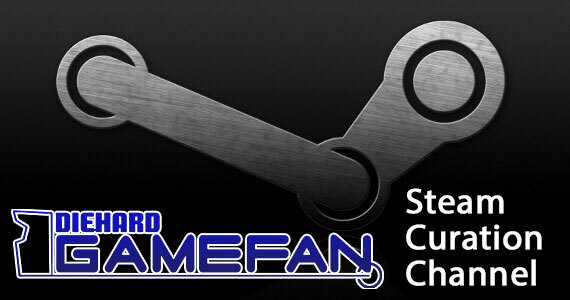 Are a lot of dedicated gamers going to pick this up? No. Are a lot of Monster High fans? Probably. Will they enjoy it? Definitely, although the younger the better. Basically, if you’re at all interested in the Monster High series, you’ll get your money’s worth out of this game and that’s what matters. While not as good as Haunted House, ImaginEngine has really improved since the days of Pokemon Team Turbo. 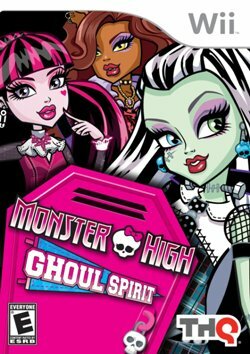 Monster High: Ghoul Spirit does a nice job with the MH license unlike countless other licensed games that flood the market ever year. Although ugly, the game uses all the MH characters according to the cartoon and webisode continuities (Yes, I watched some before writing this review and playing the game. I have to be thorough, after all.). The game uses aspects of other genres such as mini game compilations, sandbox action, RPG style fetch quests and more to create a game that definitely stands out from the pack and is sure to delight the majority of Monster High fans. This was definitely a purchase for my girlfriend, but I had fun with it and I’m a guy that enjoys throwing hadoukens or beating up Gotham City bad guys as Batman – so there’s definitely something here that can be appreciated by all demographics. Monster High: Ghoul Spirit is a fun but flawed addition to the Monster High franchise. While the game could have definitely used a bigger budget in the visual and audio departments, the overall game is well made. 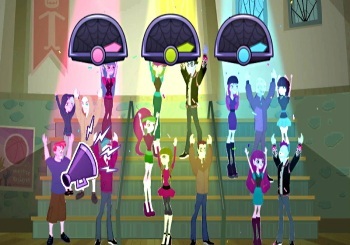 Monster High fans of all ages will enjoy this game and the fact it pays close attention to the cartoon continuity. It might be a bit easy for older gamers, but with fourteen episodes that you can complete in any order ala a scaled back Western RPG, six character types and multiple endings, you have one of those rare budget licensed games that is actually worth picking up if you are a fan of the product. Awesome how much is this game?! What is the trick to cutting Cleo’s hair? You just have to follow the path of the screen quickly and in one straight motion with the wiimote. Ok, I’m 28 with a 4 yr old daughter. I help her out with this game because at 4yrs old she can’t read yet. We are on the Draculaura’s makeover mission and I can’t for the life of me figure out how to put the makeup down after dragging it to the highlighted area to pick up another. I feel pretty stupid. Lol! Could you please tell me what I’m doing wrong? That said, there are a bunch of Youtube videos out there that provide a complete walkthrough of the game, You can probably watch one of those and learn how.